Home News ‘Kill him!’, Palin supporter says of Obama in her presence. She says nothing. ‘Kill him!’, Palin supporter says of Obama in her presence. She says nothing. 10/6/08 7:17pm by John Aravosis Comments Off on ‘Kill him!’, Palin supporter says of Obama in her presence. She says nothing. Just like she did when speakers at her church said that terrorist attacks against Israelis were “God’s judgment” for Jews having the audacity not to embrace Christianity. Just like she did when a visiting witch doctor at her church lamented the fact that, as he claimed, Jews control the banking industry and that’s why Wall Street is so corrupt. 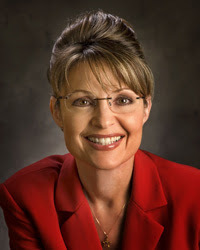 Not a word from Sarah Palin when her supporters talk of killing Barack Obama. Not a word from Sarah Palin when her own church talks of the propriety of launching terrorist attacks against Jews in Israel. In one day, McCain’s supporters are so enraged by McCain’s new rhetoric, calling Obama an un-American terrorist sympathizer, that McCain’s supporters are now labeling Obama himself a “terrorist” and calling for him to be killed. And McCain has no problem with this. Nor does Sarah Palin.